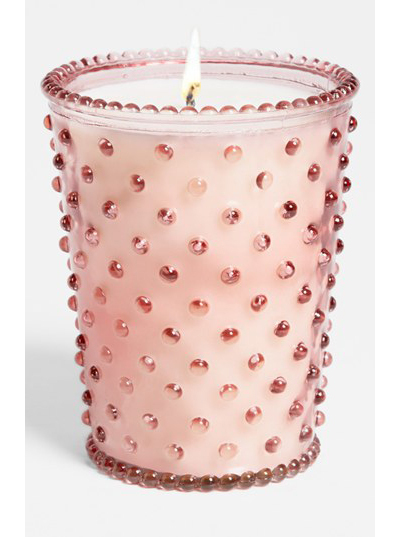 Dainty dots bring antique charm to this hand-poured Hobnail Glass Candle crafted with a cotton wick for a clean burn. Re-purpose the jar once the candle’s done as a small vase or decorative doodad. Approx. dimensions: 4″W x 5″H. Approx. burn time: 100 hours. $29. Free shipping. Buy here.